This article detail some of the steps required to work as a nurse in Australia. More specifically, what is required to pass a skills assessment for a nurse. Nurses are in huge demand in Australia and is an occupation that is on the Medium and Long-Term Strategic Skills List. As nursing is on the Medium and Long-Term Strategic Skills List, it may be possible for overseas trained nurses to obtain a permanent work visa to Australia, without requiring a sponsor. Only registered nurses are on the Medium and Long-Term Strategic Skills List, not enrolled nurses. Please note that a successful skills assessment does not necessarily mean you will qualify for registration as a nurse to work in Australia. Passing a skills assessment and becoming registered to work as a nurse in Australia are two separate things. Passing a skills assessment allows you to move onto the next steps of applying for general skilled migration. The skills assessment is performed by ANMAC and ensures that your education and experience as a nurse reach Australian standards. Must score at least 7 in all aspects of ACADEMIC IELTS or B in all bands of OET (within 2 years of the skills assessment). You must demonstrate that your previous education meets the standards for nursing in Australia.The minimal standard required is a university based bachelor degree equivalent to at least 6 full time semesters. ANMAC may accept education nursing programs leading to registration from countries similar to the Australian standard including: UK, Ireland, Canada, USA, Singapore, Hong Kong and some European Union (EU) member nations. Please note just having completed a bachelor degree in nursing does not mean you will meet the educational requirement. Only ANMAC can determine if your education meets the Australian standards. 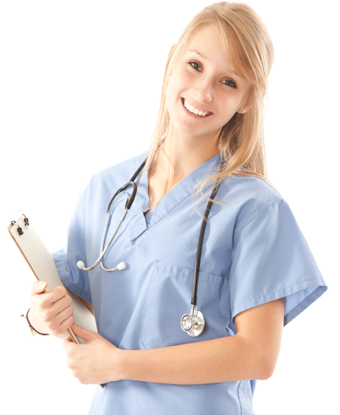 If a nurse did not complete their studies in a country which ANMAC believes is not similar to Australian standard then, the nurse may be able to go through Australian Health Practitioner Regulation Agency (AHPRA) and find out what needs to be done to become registered or licensed to work in Australia. AHRPA is the organisation responsible for registering nurses to work in Australia. 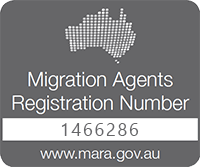 If you are not registered with AHPRA, you cannot work in Australia. Overseas trained nurses may be required to undertake a bridging program (a short nursing course conducted in Australia) before they become registered in Australia. Once an applicant becomes registered through AHPRA they may then be able to apply for a modified or full skills assessment with ANMAC as they hold a current Australian or New Zealand registration. The Applicant must show that they hold a current registration/license as a nurse in their home country and have practiced as a nurse within the 5 years before application. Provided you pass a skills assessment and have adequate points to apply in general skilled migration you may then be able to proceed with the applying for a general skilled migration visa. If you cannot get enough points to pass a skills assessment, you may still be eligible for other employer sponsored visas including 457 or 187 regional sponsored. To do this, you will need to be registered with AHPRA and have an employer that is willing to sponsor your visa. Alternatively you could look at studying to become a nurse in Australia. Including family members on the visa application. Please I’m interested in a diploma in nursing, please what is the cheapest I can get thanks. We will send you through some options for nursing courses. What current qualifications do you have? Where did you study previously? Feel free to drop us an email at [email protected] with this information so we can have a better understanding of your situation. Hi, I have a degree in nursing from a reputable university in Ghana and have a one year working experience . Is there a chance for me to work in Australia as a nurse? I already have aphra registration thru trans tasman. I am applying for ANMAC modified assessment. im just wondering if I still need to ask for my verification of registration from overseas (philippines) tobe sent directly to ANMAC? I would really appreciate your.response. Great question. I would recommend confirming this with ANMAC directly. I believe you probably will. Hi there RiChel, bumped into this comment of yours regarding the verification of registration from Phils. Did ANMAC ask you to supply one? Do you mind sharing how you managed the process. Many thanks. Will very much appreciate it. Hi, I have a Bachelor degree and Diploma in Nursing, taking in Singapore. Do I require to do a bridging course? Hi, sorry we cannot give advice without knowing more about your situation. I would recommend speaking to the skills assessor. Good day! I finished bachelors in Nursing in the Philippines and I have been working here in Ireland as a nurse for 2 years. Do I need to still take the bridging program? I have Diploma in Nursing and Bachelor degree in nursing. Im currently working as Registered nurse in singapore with 10 years experience. How do i go avoit it from here to work in Aussie. I am doing Diploma of nursing in Australia. what do i need for the positive skill assessment and apply for permanent residency. I’m a registered nurse within the UK with nearly three years experience, I would be interested in working in aus for a few Months. How would I go about doing this ? Hi, my wife has RN, RM, PUBLIC HEALTH, BACHELOR DEGREE all in nursing from Nigeria. What steps does she need to work in Australia and move with the family of two children to Australia. Thanks. I will be glad to get feedback from you. I’ve completed my RN bachelors degree in Australia, what happens if i work in Malaysia as an RN for a few years and return to australia to work as a RN again. What do i need to do? Hello, i just wanna know if there’s a possibility i can study or work as a nurse in australia. Im a dental nurse assistant here in saudi arabia from 2015 upto present, but my last hospital experience was on 2012. Thank you.